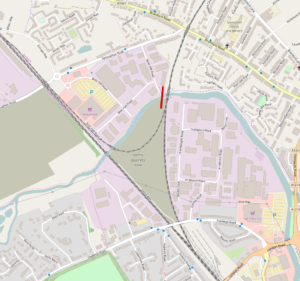 Cycle Ipswich are objecting to planning application IP/17/00150/VC to remove the requirements in 2 previous planning applications(IP/16/00956/FUL and IP/08/00929/FUL) to provide a walking and cycling link from the development site to the river path. The Harris Business Park development is a commercial development, with plans for serviced land, industrial distribution, a trade counter, and office accommodation. The site used to be a factory. Prior to occupation of the hereby approved development; a scheme for the provision of a foot/cycle path linking Hadleigh Road to the River Gipping within the site shall be submitted to and approved in writing by the Local Planning Authority. The approved scheme shall be completed and made available for use in perpetuity in accordance with the agreed scheme within 12 months of first occupation of the building. 14. 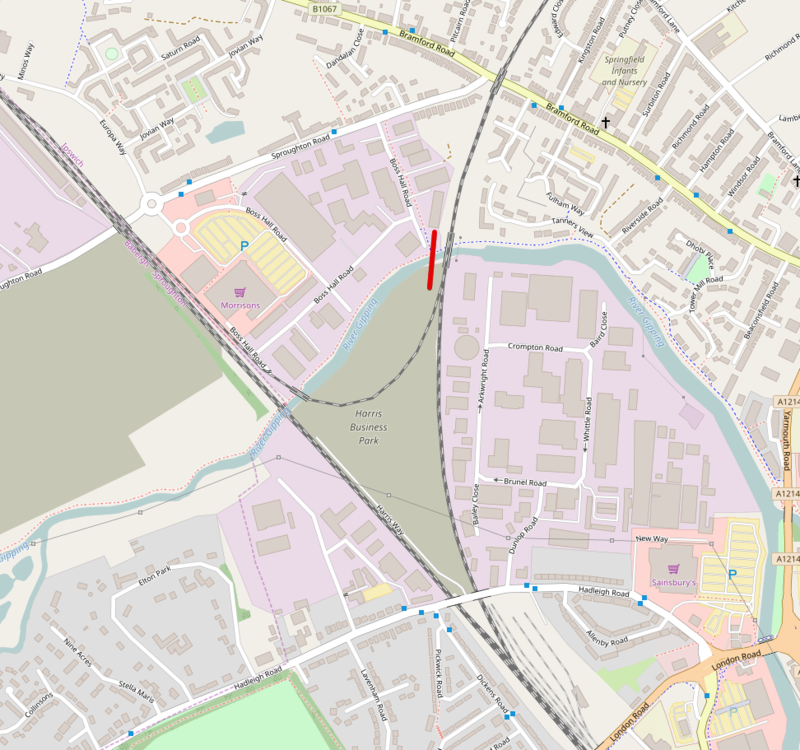 Prior to occupation of the hereby approved building; a scheme for the provision of a foot/cycle path linking Hadleigh Road to the River Gipping within the site shall be submitted to and approved in writing by the Local Planning Authority. The approved scheme shall be completed and made available for use in perpetuity in accordance with the agreed scheme within 12 months of first occupation of the building. Creation of a cycle link over the river to the north of Elton Park, connecting south west Ipswich with north west Ipswich (as identified through the emerging Site Allocations and Policies (Incorporating IP-One Area Action Plan) development plan document). Both conditions relate to the same cycling and walking link. 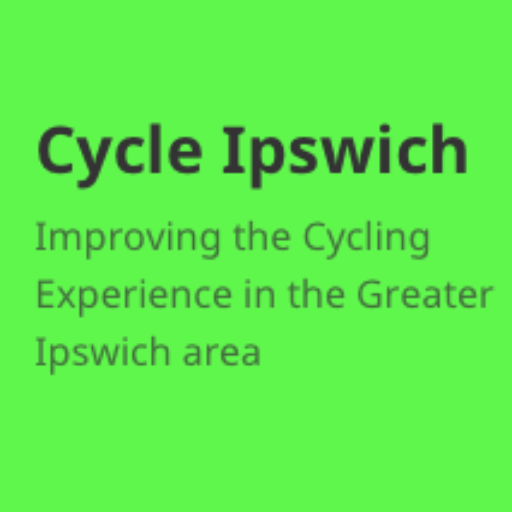 Cycle Ipswich believe that the walking and cycling link must be implemented to improve walking and cycling links between the site and the river path providing a safe route to Ipswich Railway Station, and the town centre. It also helps to provide walking and cycling links in North West Ipswich, and improve employment opportunities particularly for people who don’t want or need to drive via the longer route to the development. High quality infrastructure will entice people out of the car and on to sustainable modes of transport such as walking and cycling when the quality is good enough. Wow, what a major boost to cycling would that provide to Ipswich, Sproughton and Bramford. You could access Chantry Estate, Stoke & Bourne Park areas with ease using that river crossing option – thus avoiding the “Mermaid & Jacks’s Cafe”melee! Going to Colchester Road etc from Chantry Estate would eliminate Chevalier Street & Valley Road altogether! I can only see this as a win win for bikes, pedestrians AND cars. The good news is that this planning application has been refused so the link has to be built. It would probably be useful to contact the developer to discuss the design and encourage them to build it.